Hide this Project (Yesh Mahabaleshwar Layout) Discover properties in other projects by hiding the ones that doesn't interest you. You won't see them in your searches further but you can unhide anytime later. Hide this Dealer (Raju g k) Discover properties by other dealers by hiding those whom you have already spoken to. You won't see them in your searches further but you can unhide anytime later. Hide this Dealer (Jaffer Savanur) Discover properties by other dealers by hiding those whom you have already spoken to. You won't see them in your searches further but you can unhide anytime later. Yesh Mahabaleshwar Layout in Gokul Village, Hubli by Yesh Developers is a residential project. The size of the APARTMENT ranges in between 474 sq.ft. and 915 sq.ft. 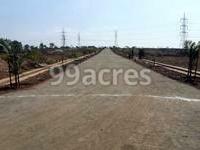 Yesh Mahabaleshwar Layout price ranges from Rs. Rs. 9.58 Lacs to Rs. Rs. 1.91 Lacs. Yesh Mahabaleshwar Layout offers facilities such as 24/7 water supply, Club house, Gymnasium, Inter-com, Children's play area, Lift and Power back-up. It also has amenities like Badminton court, Basketball court, Jogging track and Swimming pool. The presence of Fountains make Yesh Mahabaleshwar Layout an ecofriendly project. This is a RERA registered project with registration number AG/KN/180103/001771. The project is spread over a total area of 25 acres of land. An accommodation of 448 units has been provided. Hubli has a number of infrastructure developments taking place and hence the real estate market is on an upswing. The presence of various commercial industries in the city is the sole reason of generating a number of jobs and attracting workforce. This has a good impact on the realty market. The residential real estate of the city has a mix of luxury, mid-segment and affordable housing units. In which area is Yesh Mahabaleshwar Layout located?The project is situated in Gokul Village, Hubli. What is total size of Yesh Mahabaleshwar Layout?The project is built over an area of 25.0 Acres. How many units are available in Yesh Mahabaleshwar Layout?The project has a total of 448 units. Does Yesh Mahabaleshwar Layout have gym? The project doesn't have a Gym. Which banks are providing loan facility for Yesh Mahabaleshwar Layout? HDFC home loans, ICICI and 6 more provide loans for this project. Is Yesh Mahabaleshwar Layout vastu compatible? The project is not compatible with Vastu.